Kershaw Fatback 1935 Knife. 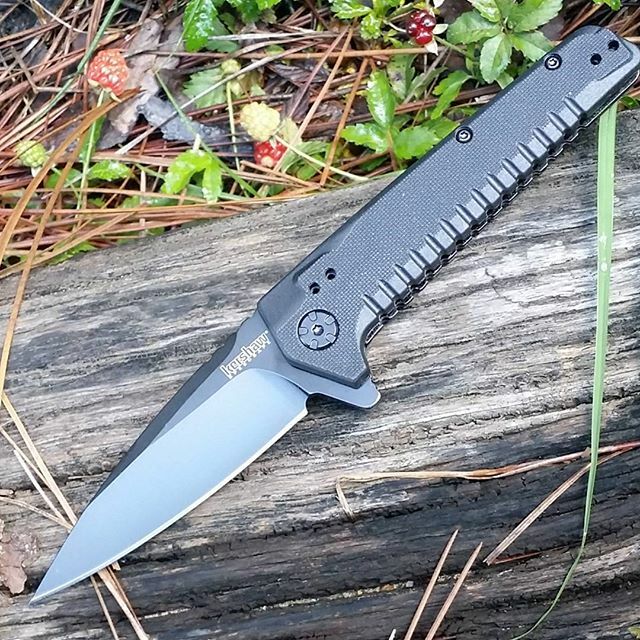 Kershaw has all solid black knife with a 3.5 inch spear point blade knife. The blade is made with 8Cr13MoV Stainless steel and the tip is super sharp and pointy. This opens with the Speed Safe Assist design, so be ready this Fatcat will deploy fast. The Fatcat will not play around. It's unique designed handle has several notches on the bottom end, these notches plus the G-10 Scales will help secure your grip during use. The handle is made with glass-filled nylon and measures 4.5 inches. 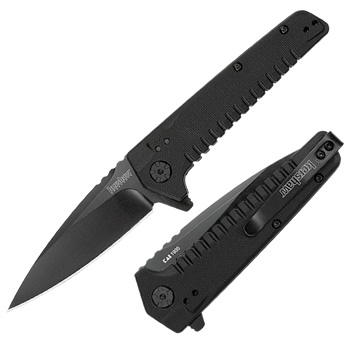 There is a black pocket clip on the back side with Kershaw engraved on it. Fatback won't be around for long, so get them while they are still here.